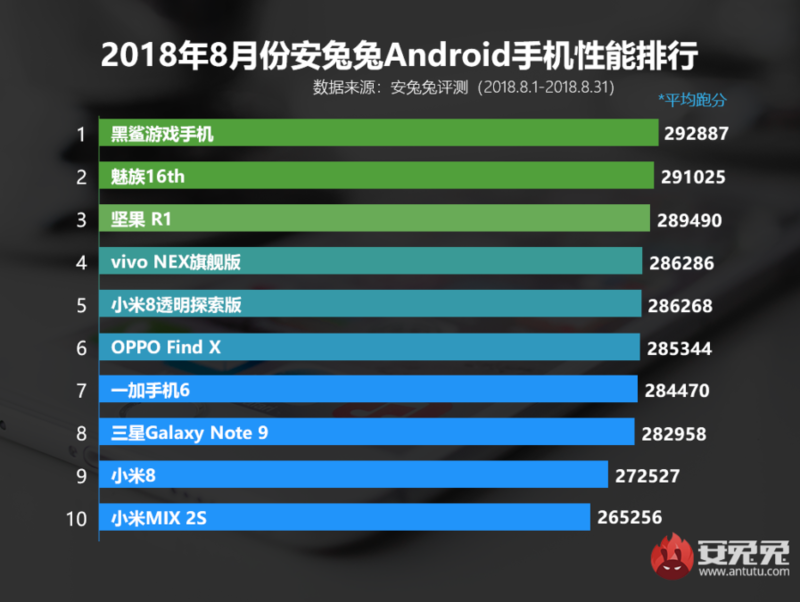 Antutu press release of the fastest smartphones of the August 2018 notes, the rating gets higher (not reached maximum) value of the indicator of the smartphone among all the tests, performed by users, but not less than 1000 devices in total. For this reason, as noted in the company MEIZU, has managed to get MEIZU 16th Plus who scored the most average result on the test, but by the time of summing up the results for August were not available to collect the necessary total average number of results from users (1000). MEIZU also said that MEIZU 16th ahead in the ranking of all the flagship of its direct competitors, including Xiaomi Mi 8 and Mi 8 Explorer Edition, OnePlus 6, Samsung Galaxy Note 9 and Xiaomi Mi Mix 2. This means that MEIZU 16th is the fastest Android smartphone officially available on the Russian market in the near future. However, it still yielded the palm to his rival – smartphone Black Shark from Xiaomi.